Obscure and overlooked, the city of Chișinău is an unexpected Shangri-La of lakes, wine, and architecture that trembles with the golden age decadence and elegance of 1950s Europe. Chișinău is home to over 500,000 people and the capital of the Republic of Moldova. Attractions include the Chișinău State Circus, Ştefan cel Mare Park, and National Museum of History. Be charmed by the mysterious charisma of Eastern Europe and seduced by the tantalising tannins of Moldovan wine with cheap flights to Chișinău. The city is home to Chișinău International Airport (KIV), which is a 15-minute drive from the city centre. Once the leading producer of wine in the Soviet Union, Moldova is regaining some of its lost prestige. Aromatic vineyards and sprawling underground cellars offer up tantalisingly unique wine experiences. Devastated by an earthquake and World War II, the city was rebuilt by acclaimed Russian architect, Alexey Shchusev. The urban landscape of Chișinău is peppered with mesmerising Soviet-era architecture. 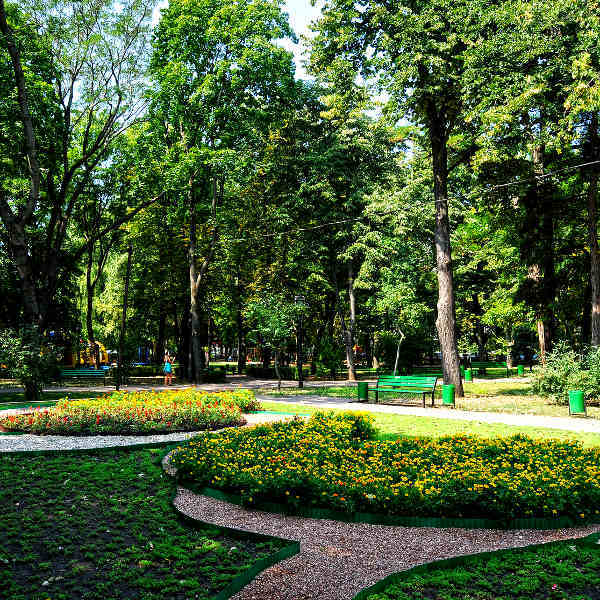 A sublime composition of parks and lakes that shimmer and glow in brilliants shades of gold, tangerine and emerald, have helped Chișinău become one of the greenest cities in Europe. Chișinău experiences a humid continental climate, with pleasant summers and fierce winters. Average temperatures range from 26 degrees Celsius in summer to -5 degrees Celsius in winter. The city experiences moderate rainfall throughout the year and considerable snowfall during winter. The best time to visit Chișinău is summer (June to August). Warm weather draws people into the parks and offers superb conditions for hiking and wine tours. If you can brave the harsh weather, winter (December to February) is a magical time in Chișinău. Christmas traditions abound, and the city is often cloaked in shimmering snow. 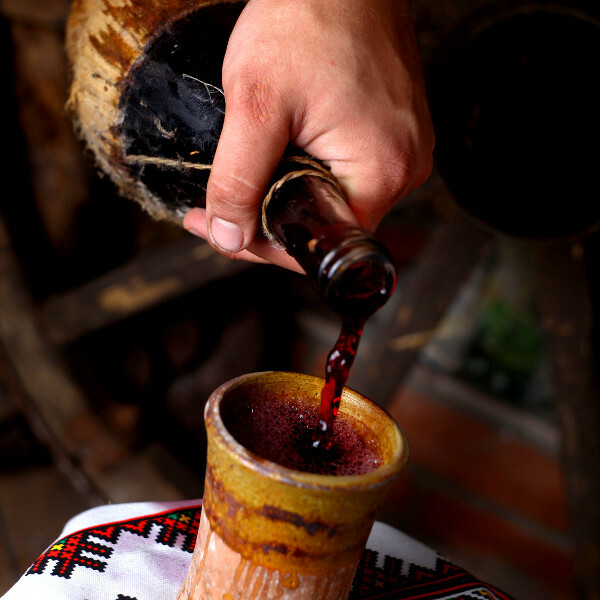 The Moldova Wine Festival happens in October. For cheap flights to Chișinău, the best time to visit is from April to mid-May and September to mid-October. Once a humble monastery town, Chișinău has blazed through history, surviving a devastating earthquake, World War II, and the grim grasp of the Soviet Union, all the while retaining its wild tapestry of cultures and flair for wine production. It has regained some of the prestige from its glory days as the best wine producer in the country, and become a curiously charismatic place. Chișinău is an enchanting composition of cobbled streets that tremble with urban energy, parks draped in gold and green, lakes dappled with lily pads, and unusual Soviet-era architecture. Feel the warm caress of nature as you explore the sublime landscapes of Ştefan cel Mare Park and Dendrarium Park, or fawn over the odd and regal architecture of the State Circus and railway station. 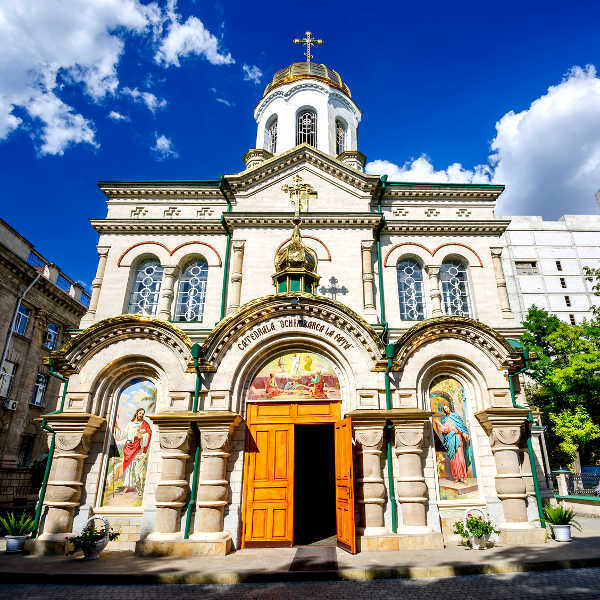 For a taste of Moldovan culture: catch a production at the National Opera and Ballet Theatre; wander through Arts Square; try traditional sarmale and mamaliga; revel in the nightlife; or visit the nearby Milestii Mici, home to the largest collection of wine. Compare multiple airlines and book cheap flights to Chișinău with Travelstart! Chișinău is a fairly safe city, however, it is a large capital city, so crime does happen. Certain precautions can be taken to ensure you make the most of this European city. Travel insurance to cover theft and medical expenses is recommended. Avoid carrying large sums of cash, important documents, and valuables, as pick-pocketing does happen. Wandering around the city alone at night is not recommended (particularly for women). Scams have been an issue with street ATMs; try to use ATMs inside banks instead. Avoid political rallies and demonstrations. Proof of yellow fever vaccination is required if you are travelling from a yellow fever endemic area. Immunisation against Hepatitis A & B, and rabies are recommended. Other routine vaccinations include MMR, diphtheria-tetanus-pertussis, varicella and polio. Bottled water is recommended.